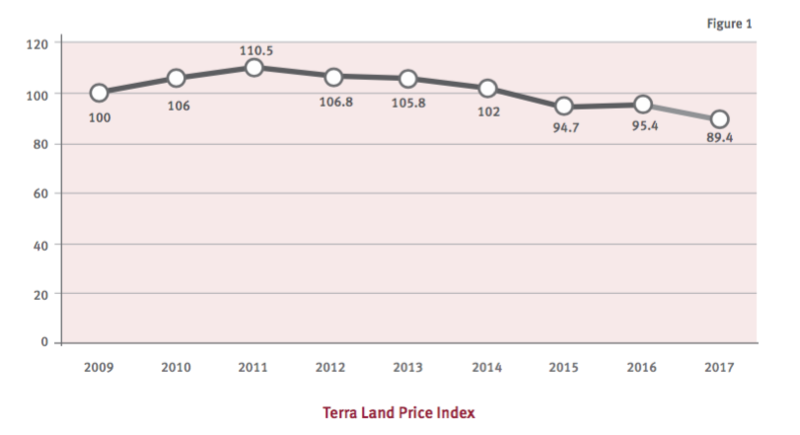 As a reminder, the index shows shifts in median price per square foot of vacant land sold in Barbados from the baseline year of 2009. With complete year data for 2016 we have revised the 2016 index position down from 97.1 shown as the provisional number in last year’s Red Book to 95.4. Current data for 2017 shows a return to the downward trend seen since the peak of the index in 2011 and is the lowest we have seen in the index so far with a value of 89.4 or 10.6 points below the 2009 baseline. 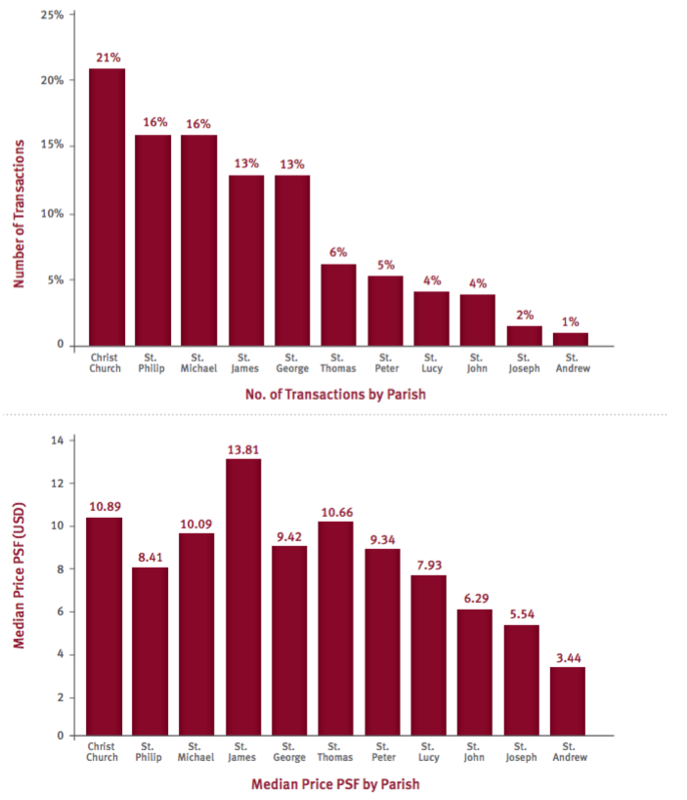 Chief Operating Officer, Hayden Hutton, stated that, "Broadly this reflects the macro characteristics of the vacant land market which are increasing supply and softening demand over the period." For this year’s view of the parish specific data we have isolated the data to include 2016 and 2017 records only to provide a current snapshot instead of our normal total data view. The volume leader is Christ Church, which is not surprising, with several developers offering residential developments in the parish (e.g. The Grove), due to its excellent location for professionals working on the south.